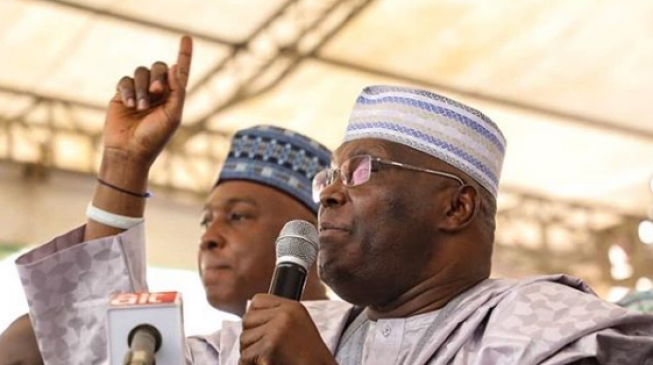 The National Coordinator of a group routing for the re - election of President Muhammadu Buhari, Mr Frank Ezike, on Wednesday vowed to stop the candidate of the Peoples Democratic Party, Alhaji Atiku Abubakar, from winning the February 16 election in the South - East. The coordinator of the group tagged “I Believe in President Muhammadu Buhari 2019, ”said his move would counter Atiku ’ s endorsement by the Igbo apex socio- cultural group , Ohanaeze Ndigbo. In a statement made available to our correspondent , Ezike said he would galvanise all the major bodies in the South East to go against the endorsement, adding that such endorsement was dangerous to the political aspirations of the region. He said Buhari would sweep the votes from the South- East states. He said, “We will block Atiku in the South - East, come February 16. The purported electoral support given to former Vice President Atiku Abubakar by the leadership of Ohanaeze Ndigbo, holds no water as the good people of the South - East are not ready to gamble with their votes at a time they are supposed to carefully define their political interests by way of secured electoral investments for the future.